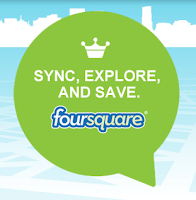 This is a reminder that checking-in to restaurants via social media can earn you free discounts or extra cash back. 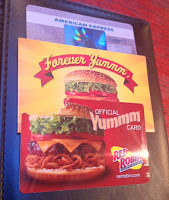 Right now (until April 30, 2012), Red Robin is offering $10 off $30 if you check-in to the restaurant on foursquare with your synced American Express card. You can sync your AMEX card here for this deal and future check-in deals. There is a Red Robin 5 minutes from our home and it just so happens to be a chain restaurant the lady and I enjoy frequently. You can’t beat their bottomless steak fries with seasoned salt! Now if you really enjoy Red Robin, you can sign up for their loyalty program here. It gives you a free burger in the month of your birthday, and every 10th burger is free. Also don’t forget: you can always check-in privately without announcing it to every one of your online friends (unless you want to).